* Last month, Sana Soro of ASI Abengourou was named in the squad of the Ivory Coast B national football team. Soro, who I believe is an attacking midfielder or winger, is playing his third season at top level of Ivorian football. Soro is most likely born in 1991. Other key players at ASI Abengourou include Cameroonian goalkeeper Cyrille Ondoa Ahanda (born 18.04.1988), Lakou Alain Koné, formerly of Africa Sports, midfielder Yao Roméo Kouassi (born 09.03.1987), formerly of USC Bassam, Justin Mickaël Lago, formerly of EFYM, and powerful striker Koré Maixent Zagré (born 06.04.1986), formerly of Stella Club. * AFAD Djékanou is doing well and has only conceded seven goals in 13 matches. Captain Blaise Adou Dago (born 08.11.1985) is the leader of their excellent defence. Dago is usually partnered by set-piece expert Zahui Okou (born 11.06.1988), who has scored three goals so far this season. Last month, Dago, Okou and promising right-back Christian Alex Angbandji (born 12.11.1993) were named in the squad of the Ivory Coast B national football team. Midfielders Sanga Topio Coulibaly (born 17.08.1988) and Souleymane Ouattara (born 11.02.1990) were named in the same squad. Pierre Kwizera (born 16.04.1991), the midfielder from Burundi, has been a revelation playing together with Coulibaly and Ouattara. I believe it is fair to say that attacking midfielder Cheick Moukoro (born 12.06.1991) currently is the most interesting player in the Ivorian Ligue 1. Moukoro, who has scored five goals this season, is blessed with a creativity rarely found in the Ivorian league. Dissapointingly, star striker Yannick Zakri (born 26.03.1991) has scored only one goal so far this season. However, AFAD has a lot of potential goalscorers in their squad. Moukoro has already been mentioned. Mamadou Soro Nanga, who was included in the Ivory Coast B squad, is definitely a player to watch. I have always thought Soro Nanga was from Mali, but he is apparently eligible to play for the Ivory Coast. N’Gna Yao Koffi (born 19.01.1990), who scored two goals against AS Denguèlè on 01.02.2013, and Issa Sanogo (born 11.08.1992) are both promising strikers. The picture, found on http://www.afad.ci, is of N’Gna Yao Koffi. * Africa Sports has looked very, very poor lately. Goalkeeper Abdoul Karim Cissé (born 20.10.1985) has been a bright spot and highly regarded striker Mohamed Vieira Sanogo (born 31.07.1993) has already scored four league goals. Salifou Fofana is an interesting newcomer. The striker has previously played for FCM Targu Mures (Romania), FC Ariesul Turda (Romania) and Mangasport Moanda (Gabon). * Laurent Junior Magbi Gbagbo (born 14.12.1993) is a promising striker who played six matches for ASEC Mimosas during the Ivorian Ligue 1 2012. Magbi Gbagbo is now playing for the struggling SO Armée, gaining valuable experience. 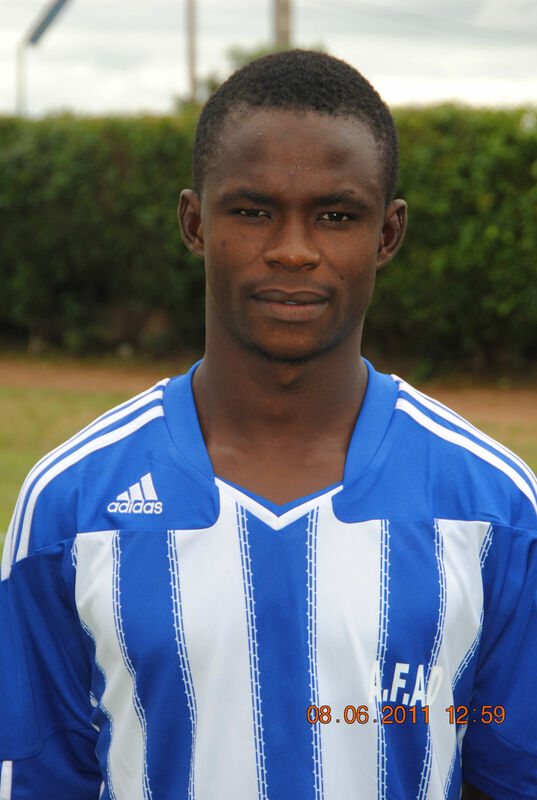 Other new players at SOA this season include defender Nicolas Aka Tanoh (born 08.04.1989), signed from ASC Ouragahio. Last month, attacker Hermann Kouao (born 31.12.1989), who has yet to score this season, was named in the squad of the Ivory Coast B national football team. Inexperienced striker Komenan N’da Konan has scored three goals in four matches. * Koffi Yao Constant Kouamé (born 28.09.1995) is only 17 years old. Nevertheless, Kouamé is playing regularly at centre-back. After having played 10 matches without scoring, Ghanaian striker Bernard Arthur (born 10.08.1994) has been sent back to the Feyenoord Academy. Big, powerful striker Philippe Okan Agoussi (born 05.06.1992) has scored four goals in nine matches. *Edem Kouamé Akrofi (born 18.07.1990) and Louis Philippe Anobile (born 16.11.1989), the star strikers of USC Bassam, have only scored one league goal each so far this season. The enterprising Fréjus Brou (born 20.11.1991) has looked more dangerous. Hamed Coulibaly (born 14.02.1984) is still one of the best goalkeepers in the league. Last month, Coulibaly was named in the squad of the Ivory Coast B national football team. * ES Bingerville is rock bottom in the league. Laurent Cédric Sahui has been a bright spot, already having three goals to his name. Last month, versatile midfielder Derou Yves Martial Toualy Sery (born 30.06.1988) was named in the squad of the Ivory Coast B national football team.